This video is part of the appearance, “Paessler Presents at Tech Field Day Extra at VMworld Europe 2016“. 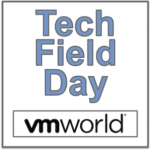 It was recorded as part of Tech Field Day Extra at VMworld Europe 2016 at 14:00 - 15:00 on October 18, 2016. Christian Zeh, Senior Systems Engineer, introduces Paessler and their PRTG networking monitoring solution. He discusses their sensor concept and discusses why their product can provide superior monitoring performance for small and large enterprises.